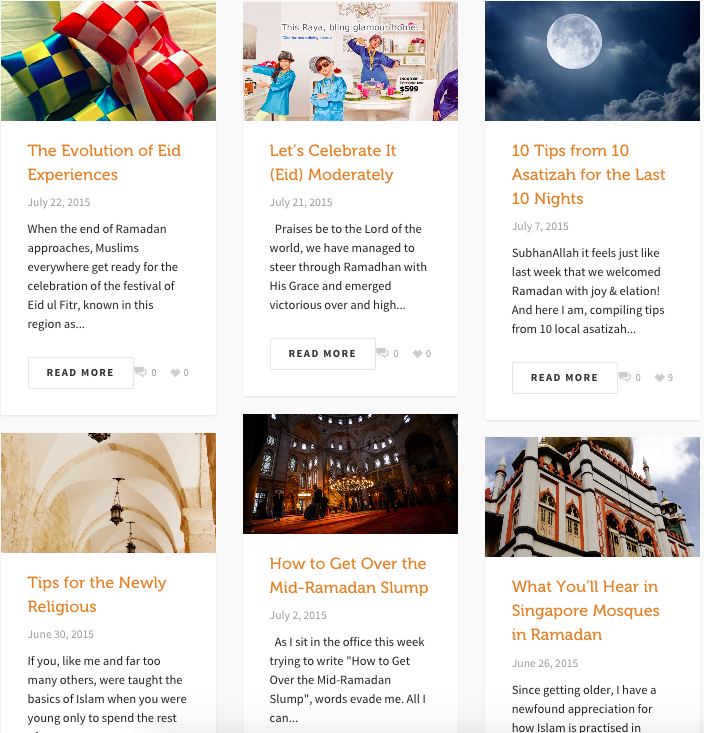 On Muzlimbuzz.sg, there is an article on the evolution of the Eid experience, where the writer takes you through the experience of Hari Raya Aidilfitri as a child, and now, as a married man. It’s thoughtful and light, accessible to any sort of audience. Browse some more, and you’ll come across a handy article recommending mobile apps for the tech-savvy Muslim. And then there’s the hard-hitting news as well — an open letter written in 2011 to Mr Jason Neo, Christian Eliab Ratnam and Donaldson Tan. Background story: Young PAP member Jason Neo posted a picture of a school bus with Muslim students with the caption “Bus filled with young terrorist trainees”, Christian Eliab Ratnam posted a picture with text saying that Islam is not a religion but “an authoritarian, political doctrine which imposes itself by force”, and finally Donaldson Tan is guilty of reposting a picture of a pig superimposed on the Kaabah (the most sacred site in Islam). 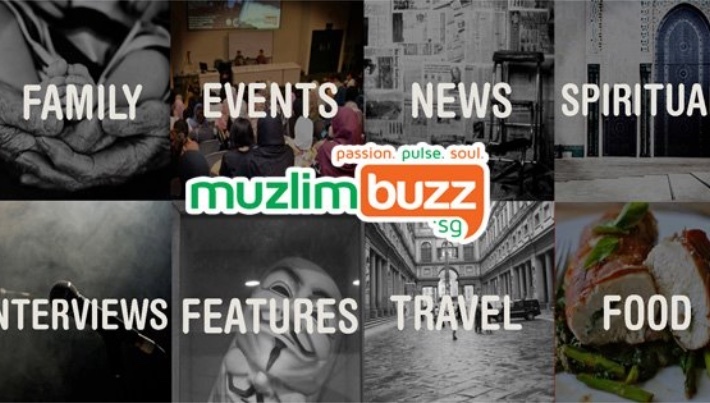 An e-magazine that caters to the modern, active, socially-engaged and spiritual Muslim, Muzlimbuzz aims to document and articulate the Muslim experience, particularly of those in Singapore and the region. 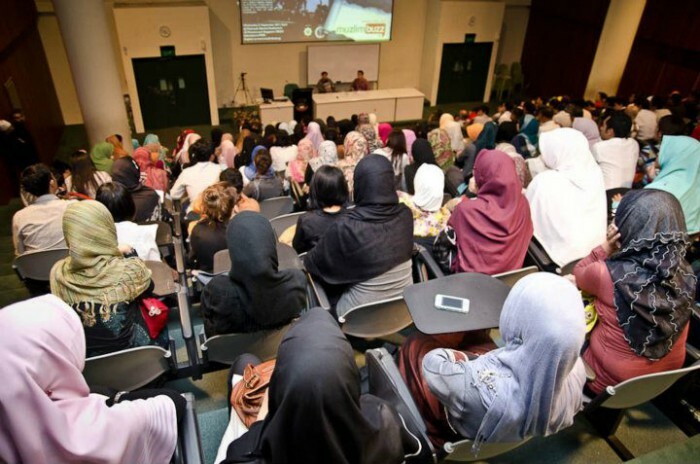 It’s one of the projects under SimplyIslam, an organisation dedicated to education, humanitarian aid, social and community development and literacy services to facilitate the progression of society. Initially slated to be a print magazine, the publication took the pilot project online in 2011, and it has been ongoing since. A balance of hard news and light pieces spanning fashion to tech, it was started by editor Ameera Begum out of necessity. “I didn’t find any reading material that I felt represented me and many of my peers. I used to read Seventeen magazine but there weren’t any magazines that catered specifically to the Singaporean Muslim audience. I guess there were already publications by different organisations but they were either too preachy or too detached from this worldly life. Being an avid reader, I wanted to be able to read from others and to help fill that void,” she explains. Ameera juggles a heck load of things. 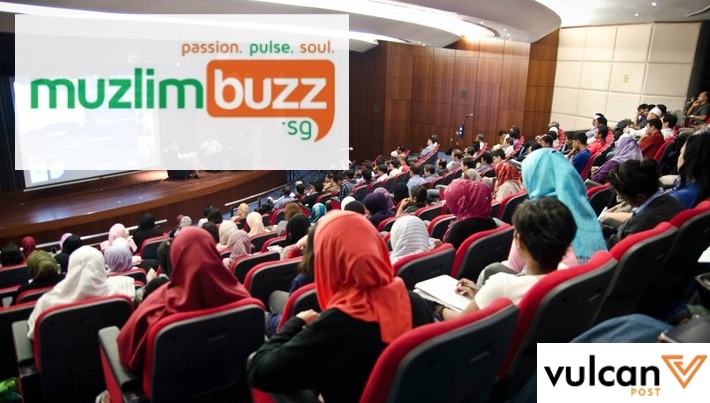 Being in a small organisation means taking on multiple roles in SimplyIslam’s other arms — besides being an editor and writer, she also handles marketing and promotions for events and classes at the organisation. Read every day. Read all manner of things. Read to get better at writing and better at being an editor. Stay updated with content trends — listicles, Buzzfeed-type posts, etc., and see how best to incorporate these without treating the subject too casually. Keep track of what people are talking about or sharing and also be extra observant. Put your observations in a notebook — it might not result in an article the next day, but one day it might. Keep your writing schedules and deadlines organised. There are tools like Trello and Asana to better manage our communication and content brainstorming, but I still like sticking to the pen and paper method. Question assumptions — questioning usually leads to clarification, and a deepening appreciation of the answers so: question everything.